Sails are in serviceable condition. 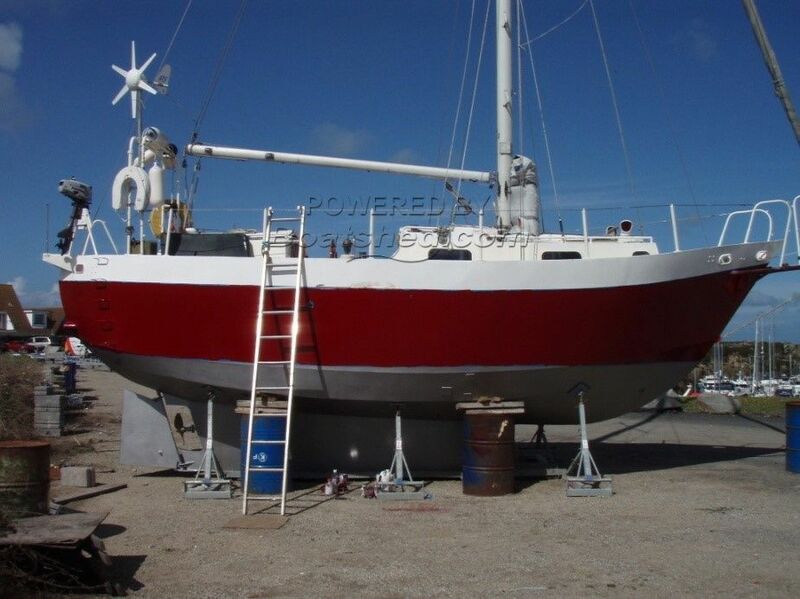 A sleel "slutter" (sloop with additional inner forestay) She is a strong heavy displacement yacht ideal for coastal cruising or longer passages and would also make an ideal livaboard. She was refitted in 2010 which included new electrics, fully insulated and new head linings, and benefits from a new engine only fitted in 2015. Recently lifted out at the end of the 2017 season ready to be antifouled and anodes fitted by the current owner. One of the few small steel yachts available in the UK. This Teale 29 has been personally photographed and viewed by Phil Key of Boatshed Torquay. Click here for contact details.